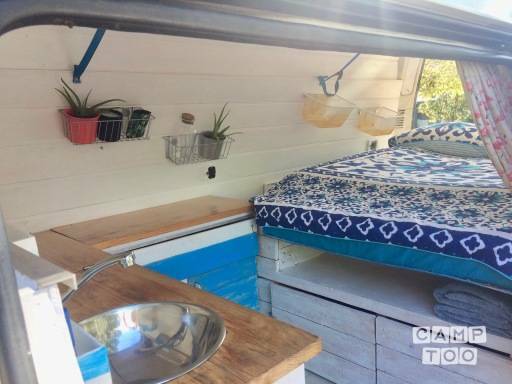 Cute and cozy camper van with kitchen sink, cupboards, comfortable double bed, 240v power, down-lights and LED lights. Outdoor table and chairs. And even racks for the surfboards. This adorable van will feel like your seaside home from the first moment you meet!